OTTAWA — Four years after the federal government agreed to give the Aga Khan's Global Centre for Pluralism $30 million, the project is finally about to get off the ground. The Aga Khan — a hereditary title applied to the imam of the Shia Imami Ismaili Muslims — is expected to be in Ottawa next month for the Centre's first board of directors meeting, of which he is the chair. That meeting will give the green light for the centre's activities to finally begin. Organizers had expected the centre to "become operational" in early 2008 but a lack of agreement over who to appoint to the Board of Directors kept the project at a standstill. Documents obtained by researcher Ken Rubin through access to information requests show bureaucrats were concerned an audit, or media, would reveal a gap between the requirements of the funding agreement signed with Canada on Oct. 25, 2006, and the centre's lack of "actual activities" in the first two years. The centre's first corporate plan was so deficient that then Heritage Minister Josee Verner agreed to keep it out of public view and did not table it in Parliament. Staff at Aga Khan Foundation Canada (AKFC), who are shepherding the project, were aware of the problem. "The Centre has an obligation to demonstrate progress," they wrote in their initial 2008-2009 corporate plan, promising to appoint a 12-member Board by the end of the fiscal year. Every corporate plan since has made the same promise. Without a Board of Directors, the centre was unable to recruit and appoint its executive team or rent temporary office space. It could not even begin to redevelop 330 Sussex Drive, the asbestos-plagued historic site where old national war museum stood that will serve as the Global Centre for Pluralism's world headquarters. Canada had hoped the list of Board candidates would be finalized by the end of 2007. Revisions were brought to include more Quebec candidates. The shortlist was then bounced back and forth between the Government of Canada and six other members of the corporation. Immigration Minister Jason Kenney also suggested "several alternative candidates," according to documents. "The Government of Canada [should] be given time to provide additional input before a final slate of candidates is agreed," members agreed at one meeting. But officials at Heritage Canada and then Citizenship and Immigration blamed the "involvement of HH" for much of the time delay, saying it was "difficult to find time" to meet with the Aga Khan and he was responsible for "delays in approval" of Board members, according to documents. AKFC's CEO Khalil Shariff said he doesn't believe the Aga Khan "was uniquely responsible for the delay" and neither was the government to blame for holding up the process. "His Highness did take this seriously and did review the candidates and the suggestions seriously, and took time to do that. As did the other members," he said. Shariff admitted getting the centre up and running took longer than he expected but said he was very happy with the members of Board of Directors who will be announced next month. There was an announcement in JK today that MHI was in Canada last weekend to attend the board meeting. Mubarakis! Ottawa/Canada, 25 May 2012 – Roza Otunbayeva, former President of the Kyrgyz Republic, will deliver an inaugural lecture on the Prospects and Challenges of Pluralism in the Kyrgyz Republic and Central Asia on May 28th at the Global Centre for Pluralism in Ottawa. Her visit comes at the invitation of His Highness the Aga Khan, the Chairman of the Centre’s Board. During her visits to Ottawa and Montreal between May 26th and 29th, Ms. Otunbayeva will also hold meetings with high-level Canadian government officials, Members of Parliament, as well as representatives of the diplomatic community, private sector, and civil society organizations. Ms. Otunbayeva became Central Asia’s first female head of state in April 2010, when she took up the interim presidency of the Kyrgyz Republic after a popular uprising in the country. Under her leadership, the Kyrgyz Republic drafted a new constitution, established a parliamentary system of government and held fair elections that set an important democratic precedent for the region. Ms. Otunbayeva’s term in office ended in December 2011, following presidential elections which she did not contest. That same year, US Secretary of State Hillary Clinton presented Ms. Otunbayeva with the prestigious US State Department International Women of Courage award, in recognition of her leadership at a very difficult transition period for the Kyrgyz Republic. Earlier in her career, Ms. Otunbayeva was the Ambassador of Kyrgyzstan to the United States and Canada. Ms. Otunbayeva will also be available for media interviews during her visit. Ms. Otunbayeva’s lecture is a by-invitation-only event. Members of the media may attend but they must register in advance in order to receive accreditation. Space is limited. The Global Centre for Pluralism was born out of a partnership between the Government of Canada and His Highness the Aga Khan and draws inspiration from the Canadian experience of pluralism. This new organization headquartered in Ottawa will serve the global community as a neutral space for dialogue and comparative exchange about the institutions, policies and practices that foster respect for diversity, cultivate shared citizenship, and ultimately build inclusive societies. .In 2007, the Government of Canada leased the heritage building at 330 Sussex Drive, in Ottawa, to the Global Centre for Pluralism to serve as the Centre’s international headquarters. Until that facility is ready to occupy, the Centre has opened a temporary office in the Delegation of the Ismaili Imamat at 199 Sussex Drive, Ottawa. 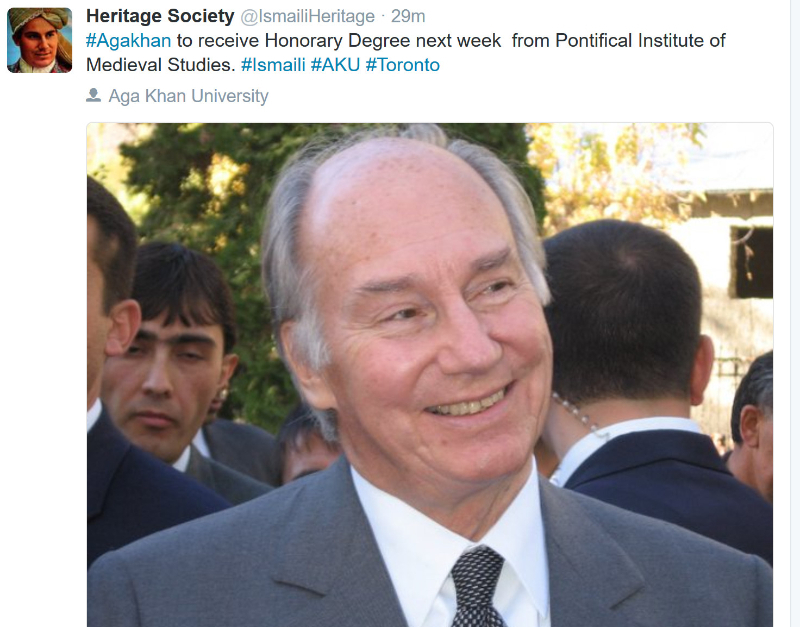 A visitor program for the Delegation of the Ismaili Imamat is managed by Aga Khan Foundation Canada. Ottawa, 28 May 2012 – Over 150 guests listened as Her Excellency Roza Otunbayeva recounted the “darkest days and nights” of the 2010 uprising that precipitated Kyrgyzstan’s recent and remarkable democratic transition. “We allowed hate to take root in our hearts,” she said, adding that all citizens of Kyrgyzstan must accept blame for the country’s recent history of inter-ethnic violence. Madame Otunbayeva delivered her remarks as the first speaker in the Global Centre for Pluralism’s Annual Pluralism Lecture series. Located in Ottawa, and founded by His Highness the Aga Khan in partnership with the Government of Canada, the Global Centre for Pluralism is a new international institution dedicated to helping divided societies value their diversity. A distinguished audience joined His Highness and Secretary General John McNee in welcoming President Otunbayeva. In addition to members of the Centre’s Board of Directors, guests included The Rt. Hon. Beverley McLachlin, Chief Justice of the Supreme Court of Canada, Ministers John Baird, Bev Oda, and Jason Kenney, and several Senators. Mr. Speaker, last night His Highness the Aga Khan hosted Her Excellency Roza Otunbayeva for a speech at the Global Centre for Pluralism. Several Conservative ministers, including the Minister of Foreign Affairs and the Minister of Citizenship, Immigration and Multiculturalism, were in attendance. They later joined Ms. Otunbayeva and the Aga Khan for dinner. In her public lecture, Ms. Otunbayeva spoke eloquently about the challenges of promoting pluralism in the Kyrgyz Republic. Following unrest in 2010, Ms. Otunbayeva provided strong, stable leadership in challenging times. In many ways, Ms. Otunbayeva is the Margaret Thatcher of central Asia. She helped usher in parliamentary elections and a peaceful transition of power following her interim presidency. A video of her lecture will be posted on the Global Centre for Pluralism website, and I encourage all Canadians to watch her speech. Our Conservative government has invested millions of dollars in the Global Centre for Pluralism and supports what His Highness is doing. Our Conservative government has also welcomed Ismaili refugees to Canada from central Asia, and our government looks forward to collaborating with His Highness the Aga Khan in the future. Welcome to this launching by the Global Centre for Pluralism of its annual Pluralism Lecture Series. This is a significant milestone — and I cannot think of an inaugural speaker better suited than the remarkable leader whom it is my honour to introduce. Her Excellency Roza Otunbayeva is a woman of courage, and conviction, whom I have come to admire and respect greatly, over the many years that the Aga Khan Development Network and I have been engaged in Kyrgyzstan and Central Asia. As a leader, President Otunbayeva understood and championed the democratic aspirations of her peoples, guiding the country, in all its diversity, through the region’s first peaceful and constitutional transfer of power — a remarkable achievement with tremendous implications for governance inside and outside Kyrgyzstan. Excellency, I am so very pleased that you have graciously accepted my invitation to launch this lecture series with an address to the distinguished group assembled here today. In the course of my work over the past half-century, I have become convinced that finding ways for diverse societies to live peacefully together is one of the principal challenges of the contemporary world. It has led me to the conclusion that pluralism as an ethic of respect for diversity is an essential building block of successful and prosperous societies. Canada is one of the best examples of a country that has embraced its diversity and cultivated a vision of nationhood based on shared and democratic citizenship. It should therefore come as no surprise that the Global Centre for Pluralism is headquartered in Ottawa. The Centre is founded on a strong and vital partnership with the Government of Canada, rooted in our common belief in respect for diversity and the importance of building inclusive societies. Excellency, as a former Kyrgyz Ambassador to Canada, you are no stranger to this country’s commitment to participatory democracy. And you have, through your own example, shown that an enlightened leadership recognises that, nothing less than this, is acceptable for any society. It is my hope that the Global Centre for Pluralism will serve the global community as a neutral space for dialogue and comparative exchange about the institutions, policies and practices that foster respect for diversity, cultivate shared citizenship, and ultimately build inclusive societies. Much of the ongoing conflict we are witnessing in today’s world is linked to a rejection of pluralism. One of the most important ways for the Centre to better apprehend this challenge and contribute to enhancing pluralism is to learn from world figures who have directly experienced it, and addressed it successfully. Our inaugural speaker has shown that it can be done. Roza Otunbaeva guided her country through the initial stages of its democratic journey, but as she herself has repeatedly stressed, Kyrgyzstan’s future as a democracy depends on the implementation of the rule of law, including respect for human rights and due process, judicial reform, and national reconciliation. These reforms will take time and will require continued leadership from the peoples and the Government of Kyrgyzstan as well as support from international partners, including Canada and the Global Centre for Pluralism. Madam Otunbayeva, on behalf of the Board of the Global Centre for Pluralism it gives me great pleasure to welcome you here this evening to launch the Pluralism Lecture Series. We are extremely fortunate to have you with us to share your first-hand perspective on the prospects and challenges for democracy and pluralism in your increasingly important part of the world. This multipronged support for democracy, pluralism, civil society and ethical commitment has taken concrete form in the Ottawa-based Global Centre for Pluralism. By basing the centre in Canada, the Aga Khan is boldly proclaiming that Canadian society demonstrates the highest ideals of respect, openness and multiculturalism. Effectively, Canada can be a role model for developing societies seeking to benefit from its own history and experience of pluralism. This is not the traditional method or understanding of development, but it is a necessary component in building and sustaining peaceful, successful countries. After all, the goal of all development efforts, in the Aga Khan’s words, should be “to stimulate and facilitate change that is positive in character, significant in impact, long-lasting in consequence and sustainable into the future.” Other countries would do well to emulate Canada in this regard. .Pluralist societies are not accidents of history. They are products of decision and public investment characterized by good governance, strong civic institutions, and sound public policy choices. Pluralist societies foster the equal participation of all citizens in the political, economic and socio-cultural life of the nation – enabling individuals and groups to express their cultural, linguistic and religious identities within a framework of shared citizenship. Through these means, the ethic and practices of pluralism can foster a more equitable and peaceful human development. Launched in April 2012, the PLURALISM FORUM is a new series of moderated Q & A discussions with leading international authorities on the policies and practices that support pluralism. Ottawa, Canada - Intra-state conflict is the ultimate expression of state failure. Divisions, often blamed on ethnic or religious differences, spiral into violent upheaval. But most societies are diverse in some way. Why are some able to live peaceably with diversity while others fail? How can divided societies pull back from the brink? On December 6, 2012, over 90 guests joined the Global Centre for Pluralism in Ottawa for its second annual Pluralism Forum, featuring Vasu Gounden, [left] founder and Executive Director of the African Centre for the Constructive Resolution of Disputes (ACCORD) from Durban, South Africa, in conversation with Rita Abrahamsen [right] and David Petrasek, [middle] of the University of Ottawa's Graduate School of Public and International Affairs. The significance of economic exclusion, the politicization of ethnicity for partisan ends, the role of leaders, and the challenge of creating civic cohesion in “states-nations” were emphasized. Whether good governance is a prerequisite for inclusion or inclusion produces good governance emerged as the salient theme. OTTAWA, May 16, 2013 /CNW/ - Kofi Annan, former Secretary-General of the United Nations and Nobel Peace Prize winner will deliver the Global Centre for Pluralism's Annual Lecture in Ottawa, ON, on Thursday, May 23, 2013. The title of this year's lecture is "Pluralism: Key Challenge of the 21st Century?" Mr. Annan is a member of the Global Centre for Pluralism's Board of Directors, a body of eminent Canadian and international figures, chaired by His Highness the Aga Khan. The Annual Pluralism Lecture Series recognizes the leadership of compelling individuals whose work has made or is making a practical difference in the world. Pluralism implies respect for diversity. Leadership for pluralism takes many forms and crosses many sectors. It can be exercised on the global stage, in national parliaments, in newsrooms, or in local schools and meeting halls. Based on decades of work on peace, security and development issues, Mr. Annan identifies pluralism as a key challenge of the 21st century. In this lecture, he will outline the attributes of inclusive societies and argue that diversity is a source of strength not discord. Kofi A. Annan was the seventh Secretary-General of the United Nations, serving from 1997 to 2006. While at the UN Mr. Annan established the Peacebuilding Commission and played a central role in the creation of the Global Fund to fight AIDS, tuberculosis and malaria. He championed responsibility of states to protect people from genocide, war crimes, ethnic cleansing and crimes against humanity. The 2013 Annual Pluralism Lecture will be live-streamed through the Globe and Mail website. John Stackhouse, the Editor-in-Chief of the Globe and Mail will moderate the discussion with Mr. Annan. &#9679; Mr. Annan's lecture is a by-invitation-only event. &#9679; Members of the media may attend, but must register in advance in order to receive accreditation. Space is limited. The Global Centre for Pluralism is an initiative of His Highness the Aga Khan in partnership with the Government of Canada. Dedicated to the creation of successful societies, the Centre is founded on the premise that respect, openness and understanding towards the cultures, social structures, values and faiths of other peoples are essential to the very survival of an interdependent world. Pluralism is no longer simply an asset or a prerequisite for progress and development. It is vital to our existence. OTTAWA, le 16 mai 2013 /CNW/ - Kofi Annan, l'ancien Secrétaire général des Nations Unies et prix Nobel de la paix, prononcera une allocution à l'occasion de la conférence annuelle du Centre mondial sur le pluralisme, le jeudi 23 mai 2013 à Ottawa, qui aura pour thème « Le pluralisme : principal défi du 21e siècle ? ». M. Annan est membre du Conseil d'administration du Centre mondial sur le pluralisme, un organe regroupant d'éminents Canadiens et personnages étrangers et présidé par Son Altesse l'Aga Khan. La série de conférences annuelles sur le pluralisme reconnaît le leadership d'éminentes personnalités dont les réalisations ont eu, ou ont encore, des effets pratiques marqués sur le monde. Le pluralisme signifie implicitement le respect de la diversité. Le leadership en matière de pluralisme prend plusieurs formes et couvre de nombreux secteurs. Il peut s'exercer sur la scène mondiale, dans des parlements nationaux, des salles de nouvelles, ou dans des écoles et salles de réunions locales. Se fondant sur ses décennies de travail pour la paix, la sécurité et le développement, M. Annan qualifie le pluralisme de défi essentiel du 21e siècle. Lors de son allocution, il décrira les attributs des sociétés inclusives et fera valoir que la diversité est une source de force plutôt que de mésentente. Kofi A. Annan a été le septième secrétaire général de l'Organisation des Nations Unies qu'il a dirigée de 1997 à 2006. Lors de son mandat à l'ONU, M. Annan a établi la Commission de consolidation de la paix et a joué un rôle de premier plan dans l'établissement du Fonds mondial pour combattre le sida, la tuberculose et le paludisme. Il a également prôné la responsabilité des États en matière de protection des populations contre les génocides, les crimes de guerre, le nettoyage ethnique et les crimes contre l'humanité. Mr. Annan a reçu le prix Nobel de la paix 2001 conjointement avec les Nations Unies. Depuis la fin de son mandat à l'ONU, M. Annan a continué à plaider pour de meilleures politiques pour répondre aux besoins des plus défavorisés, plus particulièrement en Afrique. M. Annan préside aux destinées de la Fondation Kofi Annan. La conférence sur le pluralisme de 2013 sera accessible par webdiffusion par le biais du site du journal The Globe and Mail. John Stackhouse, le rédacteur en chef de ce journal animera la discussion avec M. Annan. &#9679; La conférence de M. Annan est sur invitation seulement. &#9679; Les membres des médias peuvent y assister, mais doivent s'inscrire au préalable pour recevoir une accréditation, Les places sont limitées. Le Centre mondial sur le pluralisme est une initiative de son altesse l'Aga Khan en partenariat avec le gouvernement du Canada. Il se donne pour mission de créer des sociétés fructueuses et se fonde sur le respect, l'ouverture et la compréhension envers les cultures, structures sociales, valeurs et convictions d'autres peuples qui sont essentielles à la survie même d'un monde interdépendant. Le pluralisme n'est plus seulement qu'un avantage, il est devenu une exigence pour le progrès et le développement. Il est vital à notre existence. I am delighted to welcome all of you to the Global Centre’s second annual Pluralism Lecture. And I am especially honored to introduce today’s lecturer - Kofi Annan - the former Secretary General of the United Nations, Nobel Laureate, and global peacemaker. J'ai le privilège de connaître Kofi Annan depuis de nombreuses années et je considère que, dans le monde d'aujourd'hui, peu de personnalités ont eu une carrière diplomatique aussi brillante que la sienne. Ce remarquable diplomate a su concevoir des principes de solutions négociées aux crises auxquelles il a été confronté, mais aussi, très souvent il est arrivé à convaincre les protagonistes à tous les niveaux politiques de les mettre en œuvre avec ses conseils. Il doit ces succès non seulement à la finesse de ses analyses mais aussi à la façon éminemment personnelle avec laquelle il sait toucher les coeurs et les intelligences. Pour préciser mon propos, je dirai que, par sa réflexion et sa façon d'analyser les problèmes, par sa capacité à identifier les équilibres justes entre les positions de chacun et à marginaliser les faux arguments et les positions extrêmes inacceptables, il a porté dans de nombreux pays une nouvelle philosophie de la diplomatie. Notre Centre Mondial du Pluralisme est donc particulièrement honoré de ce que Kofi Annan ait accepté de devenir l'un de ses administrateurs fondateurs. Je suis heureux de dire qu'au cours des deux années et demie qu'il siège à notre Conseil d'administration, il a largement contribué par ses sages conseils au développement du Centre et à son envol. As you know, Kofi Annan retired from his official post six years ago. But he has in no way retired from his role as an active global statesman - tirelessly working to foster peaceful dialogue around the world. I remember vividly - and I know you do also - the role he played when violence erupted in Kenya after the 2007 election. He led the way in bringing clashing voices together, and the result was a successful power-sharing arrangement which ended the crisis and paved the way for major constitutional reform. Now, six years later, another election in Kenya has recently come and gone - this time without major violence. I think we all have recognized and remembered - as the Kenyan people do - how important have been the foundations that Kofi Annan did so much to build in 2007. We also recall the political violence in Cote D’Ivoire in 2011, when Kofi Annan, in his capacity as an Elder, once again pressed for resolution. And these dramatic moments are only particular examples of his continuing efforts - day by day and year by year - in the service of global harmony. Our honoree also leads the Kofi Annan Foundation in dealing with critical global issues such as food security, governance, climate change, drug-trafficking and HIV/AIDS. And you may know as well about his leadership role in chairing the Africa Progress Panel. The Panel - just this month - issued a deeply stirring report. Its study testifies eloquently to Africa’s profound potential for development, but it also squarely identifies the scourge of corruption, and calls powerfully for a new strengthening of transparency and accountability, nationally and internationally, in the public and private sectors alike. In welcoming Kofi Annan this evening, I want to emphasize what his personal example has meant to all of us. He has truly been an inspiration - demonstrating the power of patience and persistence - of a willingness always to listen - and a refusal to give up hope. Our Global Centre for Pluralism was founded here in Ottawa in 2006 to address what I believe is the central challenge of our time - learning to live peacefully and constructively in a highly diversified - and rapidly shrinking world. As Kofi Annan has taught us, pluralism requires constant dialogue, a readiness to compromise, and an understanding that pluralism is not an end in itself, but a continuous process. The Global Centre for Pluralism was established in partnership with the Government of Canada, and was inspired in part by Canada’s experience as a highly diverse society. We want the Centre to be a place where we can all learn from one another about the challenges of diversity - and where we can share the lessons of successful pluralism. And on evenings like this, we also help realize the Centre’s potential as a destination for dialogue, a place where we can exchange ideas with true champions of global pluralism, like Kofi Annan. Ladies and Gentlemen, together with you, I eagerly look forward to hearing from the Centre’s honored Lecturer for 2013, Kofi Annan. The building that once housed the Canadian war museum will be turned into a new international diversity research and educational centre. The NCC approved the site plan and design at its Board of Directors meeting Wednesday, a project that comes to no cost of the NCC in its development stages. The centre is a part of the Aga Khan Foundation Canada, a registered Canadian charity and group of agencies that address social, economic and cultural aspects of development. "The Global Centre for Pluralism will not only be a great addition to National Capital and making use of an empty heritage building at a prime location," said Russ Mills, chairman of the NCC, "But it's also an honour for Canada because the Aga Khan Foundation operates in many parts of the world and could have built this in many countries. But the Aga Khan are impressed with aspects of Canadian society, especially with how with people with different backgrounds and religions live peacefully together." Although the NCC isn't shelling out cash for the Aga Khan centre, public money could be used for related projects on adjacent land. However, the Government of Canada did contribute $30 million as an endowment to the institution. The building is located in between the Royal Canadian Mint and the National Gallery of Canada. That means any future funding from the NCC, or possibly the City of Ottawa, could be used for projects such as improving connectivity between buildings on Lady Grey Drive. Chers amis, permettezmoi de vous souhaiter la bienvenue à la quatrième Conférence annuelle sur le pluralisme que nous avons le plaisir d’organiser pour la première fois au Musée Aga Khan de Toronto. Ces conférences offrent une plateforme unique pour le dialogue international et soulignent le leadership de ceux et celles qui font une différence concrète en faveur du pluralisme et de la citoyenneté inclusive. Nous avons l’immense honneur d’accueillir aujourd’hui, la juge en chef du Canada, qui partagera ses réflexions sur les défis et les perspectives du pluralisme au 21 e siècle. Google translation] Dear friends, permit me to welcome you to the Fourth Annual Conference on pluralism we have the pleasure to organise for the first time in the Aga Khan Museum in Toronto. These conferences provide a unique platform for international dialogue and emphasise the leadership of those who make a real difference in favour of pluralism and inclusive citizenship. We have the great honour today to welcome the Chief Justice of Canada, who will share her thoughts on the challenges and prospects for pluralism in the 21st century. I am delighted to welcome the Right Honourable Beverley McLachlin to deliver the Global Centre’s fourth Annual Pluralism Lecture and to welcome you all to the Aga Khan Museum. The Chief Justice is a great champion of pluralism, with a wide range of judgements that demonstrate a profound respect for inclusion and accommodation. As you may know, she also made history in the year 2000, when she was the first woman to be appointed Chief Justice in Canada — you understand the hint about gender issues — and in 2013, when she became the longest serving Chief Justice of the Canadian Supreme Court. Through her thoughtful, articulate leadership, she has reinforced respect for the Supreme Court, while also fostering greater public understanding about the justice system. When the Chief Justice first came to the Supreme Court in 1989, The Canadian Charter of Rights and Freedoms had recently come into force. The justices were hearing numerous controversial human rights cases and often rendering divided decisions. But the Chief Justice’s appointment ushered in an era of consensus building among her colleagues. Through her thoughtful, articulate leadership, she has reinforced respect for the Supreme Court, while also fostering greater public understanding about the justice system. By working to uphold the rights of all Canadian citizens, the Chief Justice has contributed in a major way to Canada’s robust pluralism. Certainly, Canadians will insist that there is still work to be done. But on the world stage, there is a great need for experiences of pluralism that work and Canada is providing a powerful example. In her LaFontaine-Baldwin lecture in Toronto, in 2003, the Chief Justice said and I quote, “One problem, more than any other, dominates human history — the problem of how we deal with those who are different than us.” Those words have sharp, continuing relevance as we move further into the 21st century. Whether the challenge involves new waves of migrants moving into European societies, or political participation for the indigenous peoples of Latin America, or working towards democratic change in the Middle East and North Africa, there is a profound need to focus on the values and hopes that unite all human beings. As the Chief Justice has stated and I quote again, “The creation of a harmonious society where every individual feels not only accepted but truly welcome is the responsibility of all citizens.” This responsibility is why the Global Centre for Pluralism exists to help us learn from one another about the challenges of diversity. And on evenings like this, we are fortunate to realise the Centre’s mission to convene change leaders and inspire dialogue about the benefits of inclusion and respect. Ladies and Gentlemen, together with you, I eagerly look forward to hearing from the Centre’s honoured lecturer for 2015, the Right Honourable Beverley McLachlin. Below is an article vindicating MHI's statement above. With the election of 20 Punjabi-speaking MPs on Oct. 19, the Punjabi language is now the third most common in the House of Commons after English and French. In total, 23 MPs of South Asian origin were elected to the House last month. Three of them—Liberal MP Chandra Arya (Nepean, Ont.) who was born and raised in India, Gary Anandasangaree (Scarborough-Rouge Park, Ont.) who is Tamil, and Maryam Monsef (Peterborough-Kwartha, Ont.) who is of Afghan origin—do not speak Punjabi. Of the 20 who do speak Punjabi, 18 are Liberals and two are Conservatives. The NDP does not have any Punjabi-speaking MPs in caucus after B.C. MPs Jinny Sims and Jasbir Sandhu both lost on Oct. 19. Among the newly-elected Punjabi-speaking MPs, 14 are males and six are females. Ontario elected 12, British Columbia four, Alberta three and one is from Quebec. Prime Minister-designate Justin Trudeau (Papineau, Que.) is scheduled to unveil his Cabinet this week and some of these Liberal MPs are expected to be included in the front bench. According to Statistics Canada’s 2011 National Household Survey, 430,705 Canadians identified Punjabi as their mother tongue, making it the third most common language after English and French. About 100 million people in the world are native speakers of Punjabi, most of them based in Pakistan and India. In the Indian state of Punjab, Punjabi is the official language. In Pakistan, despite being the single largest linguistic group, Punjabi does not have official language status in the province of Punjab. Instead, Urdu and English are used in schools and offices. In an interview with The Hill Times, Navdeep Bains, a Liberal elected in Mississauga-Malton, Ont., said that although 20 Punjabi-speaking MPs have been elected, these MPs represent all constituents regardless of their party affiliation or ethnic origin. “It speaks to our commitment to diversity and allowing individual [MPs] to play an important role in our political institutions,” said Mr. Bains. Iqra Khalid, the Liberal now representing Mississauga-Erin Mills, Ont. who was born in Pakistan but moved to Canada with her parents at a very young age, said that the diversity of the newly-elected House reflects the true make-up of Canada. “Our Parliament is finally starting to look like the people of Canada. It’s a very positive step forward,” said Ms. Khalid, a lawyer by training. The 430,705 native Punjabi speakers make up about 1.3 per cent of Canada’s population. The 20 Punjabi-speaking MPs represent almost six per cent of the House of Commons. Deepak Obhrai, first elected in 1997, won his Calgary seat for the seventh time in a row. He will chair the national caucus meeting this week to elect the interim Conservative Party leader. He said that his focus, now, is the next election when his constituents will judge him not on his ethnicity but his record in the party and how effectively he represents his constituents. “The voice of the Indo-Canadian community will now be very well represented in the Parliament. In the overall aspect of it, the South Asian community won,” said Mr. Obhrai. In the 2011 election, nine MPs of South Asian origin were elected and eight spoke Punjabi. Former NDP MP Rathika Sitsabaiesan has Tamil roots and did not speak Punjabi. She lost her seat on Oct. 19. Conservatives elected six of them in 2011, while the NDP elected two and Liberals did not elect any MPs who spoke Punjabi. Mr. Obhrai is the only MP of South Asian origin from 2011 to have survived in 2015. The Conservatives who lost include Bal Gosal, Parm Gill, Devinder Shory, Tim Uppal and Nina Grewal. The two NDP MPs who lost are Mr. Sandhu and Ms. Sims. Mr. Obhrai said the key reason other MPs of South Asian origin lost their seats was the Liberal momentum. “There’s nothing more to read into it except to say that it was a red wave,” said Mr. Obhrai. Salma Zahid, a former Liberal Queen’s Park ministerial staffer elected in Scarborough Centre, Ont., said voters wanted a change from the Stephen Harper Conservative government. “People wanted change and I’m very proud of our platform, which we took to the people and it is because the Canadians believed in the change we were proposing,” she said. Former Liberal Cabinet minister Herb Dhaliwal, who was one of the first Sikh MPs elected to the House in 1993 along with Gurbax Malhi, said the newly-elected MPs from ethnic communities have an opportunity to play a key role in Canada’s national and international policies. “It reflects how open our political system is, that new immigrants can get elected and they can contribute to Canadian life and determining future policy. It also shows our Parliament is reflecting the diversity of our nation. That’s always a good thing,” said Mr. Dhaliwal, who was Canada’s first full Cabinet minister with Asian roots. During his political career from 1993 to 2004, he held the National Revenue, Fisheries and Oceans, and Natural Resources portfolios, and was the political minister responsible for B.C. OTTAWA — He was a teenage refugee, fleeing civil war in Somalia, when he came to Canada 22 years ago. Now, after completing high school and earning degrees in history and law, Ahmed Hussen is about to be sworn in as a member of Parliament — one of 46 nonwhite candidates elected to the House of Commons on Oct. 19, most of them immigrants. Many factors contributed to the sweeping victory last month by the Liberals, whose leader, Justin Trudeau, will take office as prime minister on Wednesday. But several analysts said that one of the most important factors was the immigration and refugee policies of the losing Conservative government. In a country that generally prizes immigrants as a source of economic growth and officially encourages newcomers to maintain their ethnic identities, the Conservatives and Prime Minister Stephen Harper were widely seen as anti-Muslim, especially after they made an issue of the face coverings worn by some Muslim women. The Battle for the South African Constitution: Protecting Minorities through Power-Sharing or a Bill of Rights? With introductory remarks by His Highness the Aga Khan and an audience dialogue moderated by David Walmsley, Editor-in-Chief of the Globe and Mail. Join the Centre on May 19, 2016 at 6:30 EST for the live stream presentation via the Globe and Mail. After the first democratic elections in South Africa, Justice Sachs was appointed by President Nelson Mandela to serve on the newly established Constitutional Court, the country’s highest court. A renowned defender of human rights, he helped draft South Africa’s post-apartheid constitution. Justice Sachs is the author of many books, including The Jail Diary of Albie Sachs (1966) about the 168 days spent in solitary confinement without trial and The Strange Alchemy of Life and Law (2009), a first-hand account of his judicial philosophy through the landmark cases he has heard. The Centre’s flagship event, the Annual Lecture provides an opportunity to meet and learn from compelling individuals whose work has made a practical difference in the world. These change leaders reflect on how to build and strengthen pluralist societies. Click here for more information about the Annual Pluralism Lecture series and our past lecturers. The Lecture is presented in partnership with the Globe and Mail, which will livestream the Lecture. Although attendance at the Lecture in Toronto is by invitation only, we hope you will join us for the live stream. In keeping with the image and character of Canada as a model for multiculturaliism and pluralism and hence the situation of the centre in Canada. Bhangra classes offered for high school credit in B.C. B.C. high school students can trade in their gym classes for instruction in bhangra, a traditional dance that originated in the Punjab region of India. The B.C. Ministry of Education now allows students to take bhangra classes for credit at the South Asian Arts Academy in Surrey. "Students love it. A lot of kids have danced and played music throughout their lives, but now they can actually get credits for it — towards their graduation," said Gurpreet Sian, an instructor at the academy. It took Sian and fellow instructor Rayman Bhullar over five years to work out the details with the Ministry of Education and get the program running. At no cost, students can learn how to play the dhol drum and get lessons in the vibrant dance of bhangra. Students register through the Ministry-approved iLearn DL, and once signed up, attend practices at the South Asian Arts Academy. The only catch, they say, is that students must complete a couple of assignments and tests before a letter grade and credits are assigned. Bhangra has its roots in the Punjab region of India where it was originally performed as a way to celebrate the harvest season. Since then, the lively dance driven by the beat of the dhol has made it's away across the globe. In Vancouver, festivals like the 'City of Bhangra' attract thousands of people yearly to celebrate and bridge cultures through music and dance. "I like to compare bhangra to hip hop," Sian said. "It's this big underground subculture with competitions that happen all across North America, teams all over the place. Vancouver is sort of a hub you could say for bhangra dance, bhangra music," . In the video above, Our Vancouver host Gloria Macarenko learns more about the dance and gets schooled in bhangra. What is the Global Pluralism Award? The new Global Pluralism Award recognizes pluralism in action. It celebrates the extraordinary achievements of organizations, individuals and governments who are tackling the challenge of living peacefully and productively with diversity. Pluralism, founded on respect for diversity, requires that human differences are protected and valued. Read more. The international jury for the 2017 Award is made up of seven distinguished members from a range of disciplines and backgrounds. Stay tuned for the Jury announcement. Read more. Through a multi-stage process, the jury will select awardees that have demonstrated exceptional and sustained achievement for pluralism. Read more. While fully federated with the U of T , St Michael’s is a university in its own right. Its graduate Faculty of Theology is one of the largest theology schools in North America. St Michael’s is also home to the renowned Pontifical Institute of Mediaeval Studies. 19 MAY 2016. Do not miss! Toronto, 20 May 2016 — The story of how the South African constitution was created, was the subject of the this year’s Annual Pluralism Lecture. And it was all the more remarkable for the formidable storyteller who recounted it. In their struggle to define their post-apartheid nation, explained Justice Sachs, South Africans faced a fundamental choice between constructing a power sharing structure along the dividing lines of race, or striving for equality on the basis of a shared humanity. At the culmination of his talk, Justice Sachs descended the stage to present Mawlana Hazar Imam with a copy of South Africa’s Bill of Rights, which is now enshrined in the country’s constitution. It was a heartfelt gesture that capped his emotional story. "We are so proud of this document," he said. "Your Highness, please accept South Africa's most precious gift to the world." The Global Centre for Pluralism’s Annual Pluralism Lecture invites international leaders who have made a difference in the world to share their insights on pluralism. Past lecturers include Canada's Chief Justice Beverley McLachlin, former United Nations High Commissioner for Refugees António Guterres, and former UN Secretary-General Kofi Annan. Held in the auditorium of the Aga Khan Museum yesterday evening, the event drew an eminent gathering, which included Princess Zahra and Prince Aly Muhammad, as well as former Canadian Governor General Adrienne Clarkson — who gave the closing remarks — and other prominent Canadian and international leaders. Mawlana Hazar Imam has been on a visit to Canada since Monday to attend various meetings and events in Ottawa and Toronto. Earlier in the day, Hazar Imam chaired a meeting of the Board of Directors of the Global Centre for Pluralism. Later today, he is due to receive an honorary degree from the Pontifical Institute of Mediaeval Studies — in recognition of his efforts to strengthen civil society through the promotion of pluralism. Albie Sachs is a former justice of the Constitutional Court of South Africa. He will deliver the Global Centre for Pluralism Annual Lecture in Toronto on May 19. What a great pleasure it is for me to welcome you, most warmly, to the Aga Khan Museum and to this Lecture. I am particularly pleased to extend this welcome on behalf of the Global Centre for Pluralism and the members of the Board of Directors. This is the Fifth time that the Centre has sponsored this annual event - we call it the Pluralism Lecture. It is one of the highlights of the Centre’s activities each year. It is something we look forward to, beforehand, with great anticipation - and something we remember, afterward, with great appreciation. And this year, it is our special honour to welcome as our Pluralism Lecturer - Justice Albie Sachs. Au nom du Conseil d’administration du Centre mondial du du pluralisme, permettez-moi de vous souhaiter la bienvenue à la cinquième Conférence annuelle sur le pluralisme que nous avons le plaisir d’organiser pour la deuxième fois au Musée Aga Khan à Toronto. Ces conférences offrent une plateforme unique pour le dialogue international et soulignent le leadership de ceux et celles qui font une différence concrète en faveur du pluralisme et d'une citoyenneté basés sur le respect mutuel. Aujourd’hui, nous avons l’immense honneur de recevoir le juge Albie Sachs. Justice Sachs’ career has been a truly inspiring one. He has been a heroic freedom fighter, an insightful legal scholar, a compelling author and for fifteen years a member of South Africa’s Constitutional Court. And, as most of you undoubtedly know, he was a chief architect of South Africa’s new, post apartheid Constitution - one of the most admired Constitutions in the world. The creation of that Constitution is a story with continuing relevance as nations across the world look for better ways of governing themselves. And it is about that Constitution - and how it was created - that Justice Sachs will speak to us tonight. Justice Sachs’ commitment to the cause of justice and equality has been the central theme of his life. Even at the age of seventeen, he was a passionate anti-apartheid activist. As an engaged freedom fighter, he was arrested, held in solitary confinement without a trial and forced into exile. And he was not deterred even when a bomb was planted in his car, resulting in the loss of his arm and the sight in one eye. As a senior member of the African National Congress, he helped to draft the organization’s Code of Conduct - a key document in advancing the ideal of an inclusive South Africa. And then, of course, came his role in creating the post-apartheid Constitution, and later his long career on South Africa’s Constitutional Court. All of us who try to understand the challenges of pluralism in our modern world also understand that viable constitutions are the sound foundations on which healthy pluralism must rest. They are the vehicle through which the nations can reconcile the quest for national identity with the protection and the bridging of differences. In the pursuit of an effective pluralism we can learn a great deal from studying the South African constitution - and how it works - and how it was created. Constitution-making requires a strong sense of idealism, married to a practical sense of realism. It requires a willingness to listen as competing priorities are expressed, and a readiness to negotiate as differences are reconciled. As the challenges of governance grow in complex and changing societies, a widely respected Constitution is essential to the preservation of peace and the pursuit of progress. Canada’s own Charter of Rights and Freedoms has played a central role in making Canada a leading example of a successful pluralist society. And I should also point out that Canada was a helpful contributor to the successful Constitutional transition in South Africa. That Canadian contribution in South Africa was principally made through the work of the International Development Research Centre - IDRC as most candians know it - a resource created during the Prime Ministership of Pierre Trudeau - whose dedication to effective pluralism was so important in Canadian history, and is, not surprisingly, mirrored in the commitments of the present Prime Minister, Justin Trudeau. The mission of the Global Centre for Pluralism is to convene Global leaders and to learn from their experience how to bring about a more inclusive, pluralistic society. On an evening like this, we see how well that mission can be achieved in practice. Ladies and Gentlemen, we are grateful that all of you are here to share in that experience, and to join me in welcoming, most warmly, the Centre’s honoured lecturer for 2016, Justice Albie Sachs. The Ottawa Peace Talks were a great success! Organized under the theme “Let’s build peace through diversity,” the Ottawa Peace Talks aimed to inspire reflection and discussion about how respect for diversity can promote more peaceful societies through inclusion, both in Canada and globally. This event marked the first time the Peace Talks were held in Canada. •Canada’s Minister for Democratic Institutions the Hon. Maryam Monsef delivered a personal speech about her community of Peterborough, Ontario coming together after a hate crime. •The Rt. Hon. Adrienne Clarkson spoke about being welcomed in Canada as a child refugee. •Indspire’s CEO Roberta Jamieson spoke on the need for justice for missing and murdered indigenous women and girls, and environmental sustainability and respect, as fundamental elements of peace. Les Peace Talks d’Ottawa furent un grand succès! Organisées sous le thème Bâtissons la paix par la diversité, les Peace Talks d’Ottawa avaient pour objectif d’inspirer la réflexion et les discussions sur la manière dont le respect de la diversité peut promouvoir la paix dans les sociétés au moyen de l’inclusion, tant au Canada qu’à l’échelle mondiale. •La ministre des Institutions démocratiques, l’honorable Maryam Monsef, a prononcé un discours personnel sur sa communauté de Peterborough, en Ontario, laquelle s’est regroupée après qu’un crime haineux fut commis. •La très honorable Adrienne Clarkson a parlé de son expérience d’accueil au Canada en tant qu’enfant réfugiée. •La PDG d’Indspire, Roberta Jamieson, a parlé du besoin de justice pour les femmes et les filles autochtones portées disparues et assassinées, ainsi que de la durabilité et du respect de l’environnement en tant qu’éléments essentiels de la paix.